Cisco is significantly expanding the management, networking and performance capabilities in its three-year-old Unified Computing System (UCS), an all-in-one solution that officials say is quickly gaining traction in the competitive converged data center market. With the UCS 3.0, Cisco is also making available the Nexus Fabric Extender, which connects servers to the local area network (LAN) and the storage area network (SAN), for both blade and rack servers; previous generation UCS was just for blades, said Brian Schwarz, director of product management at Cisco. The third generation of “California” Unified Computing System blade and rack servers, which debut today, are of course based on Intel’s much-awaited “Jaketown” Xeon E5-2600 processors, also designed for two-socket systems and also variously known as the “Sandy Bridge-EP” processors by the chip maker. The UCS 3.0 fabric computing platform comes almost exactly three years after Cisco introduced the solution, which offers servers, networking, storage, virtualization and management in a single, tightly integrated package. The offering—which includes not only Cisco-branded servers but also technology from such partners as storage giant EMC and virtualization vendor VMware—was introduced just as the idea of such converged solutions was taking hold due to the demand for high-performance infrastructure offerings that are energy-efficient, automated and easy to deploy and manage. It also put Cisco, which had built its business by selling networking gear, into direct competition with companies like Hewlett-Packard, which had been a strong partner. 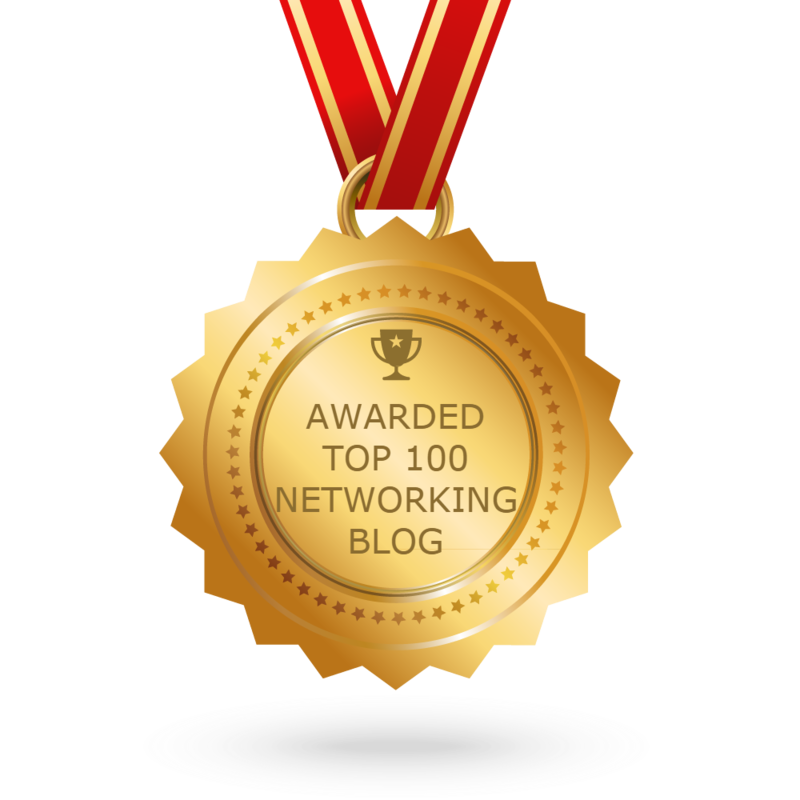 HP and other vendors also offer such tightly integrated data center solutions. However, Schwartz said that while Cisco is still working on its first-generation products, the company is already is onto UCS 3.0. The adoption rate for the solution has been strong. According to Cisco, the revenue run rate for the UCS is now at $1.3 billion, and 11,000 UCS customers and 2,000 channel partners are now selling the offering. In addition, according to fourth-quarter 2011 numbers from market research firm IDC, Cisco is now No. 2 in blade server revenue in the United States, and No. 3 worldwide. 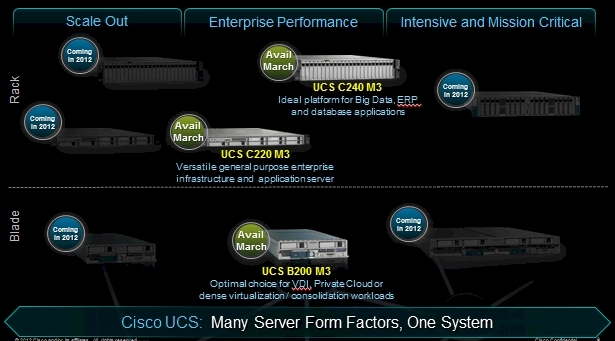 The enhancements Cisco has made to the UCS will only fuel that adoption, Schwartz said. The enhanced integration with Cisco’s Unified Fabric technology will now enable UCS Manager to manage both blade and rack servers within a single domain, which Schwartz said would mean greater flexibility in resource use and reduced costs in server connectivity. It also would mean that businesses can more easily add to the capacity of their data centers. In the second half of the year, that capability will expand beyond single UCS domains to cover multiple domains, enabling easier management of thousands of servers both within a data center and between data centers. Cisco also is adding to rack servers and one blade server to the portfolio, all powered by Intel’s Xeon E5-2600, which was introduced March 6. The systems, which will be available later in March, will offer more cores, memory capacity and internal storage, as well as improved communications. The UCS B200 M3 blade offers 24 dual in-line memory module (DIMM) slots and up to 80G bps of bandwidth. In addition, the 1U C220 M3 rack server is aimed at such workloads as Web 2.0 to distributed databases, while the 2U C240 M3 will handle such storage-intensive workloads as big data and collaboration. Cisco’s new integrated networking and virtualization offerings include the 2204XP, which offers 80G bps and 160G bps I/O capabilities to each chassis and also offers port channeling for load balancing across all ports. The UCS 6296UP Fabric Interconnect doubles the switching capacity from 960G bps to 1.92T bps and reduces latency by 40 percent. It also offers greater energy efficiency, reducing the watts per port by 36 percent, according to Cisco. Schwartz also pointed to Cisco’s VM-Flex hypervisor bypass technology, which gives virtual machines direct access to hardware I/O devices, rather than having to deal with embedded software switches. It removes the hurdles to virtualization adoption and improves performance by 15 percent and throughput by 10 percent, and lowers CPU utilization by 30 percent, he said. Schwartz said the enhancements add to the UCS’ capabilities in offering businesses a unified solution for their data centers. “The real value comes in that they’re all working together,” he said of the various components that make up the UCS.